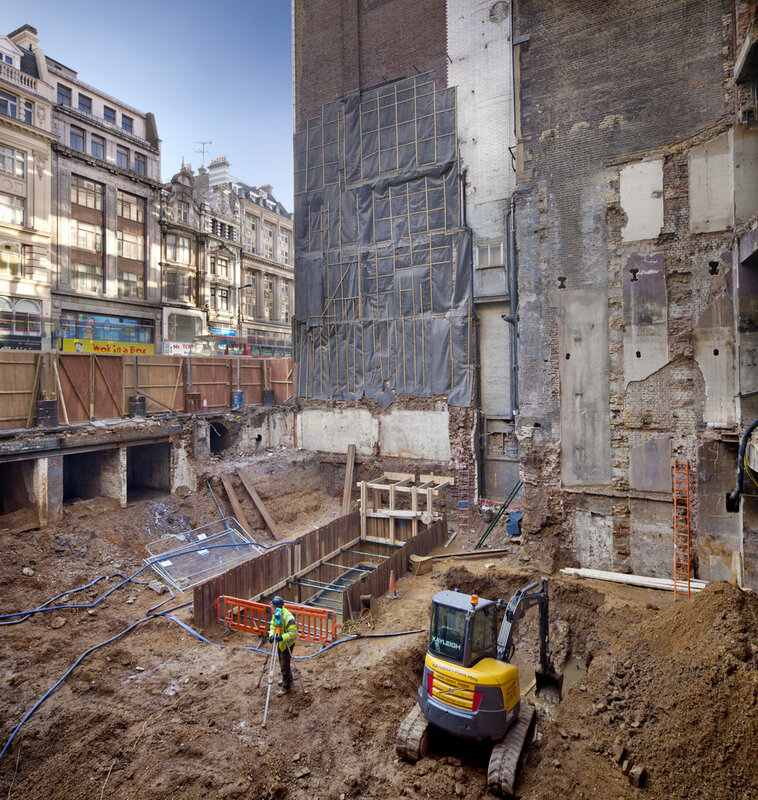 Instructed by Frogmore and Land Securities to prepare designs for the site at 14-26 Oxford Street and 55 Hanway Street, this complicated project was phase one of the development of an ‘island site’ bounded by Oxford Street and Tottenham Court Road in London’s west end. 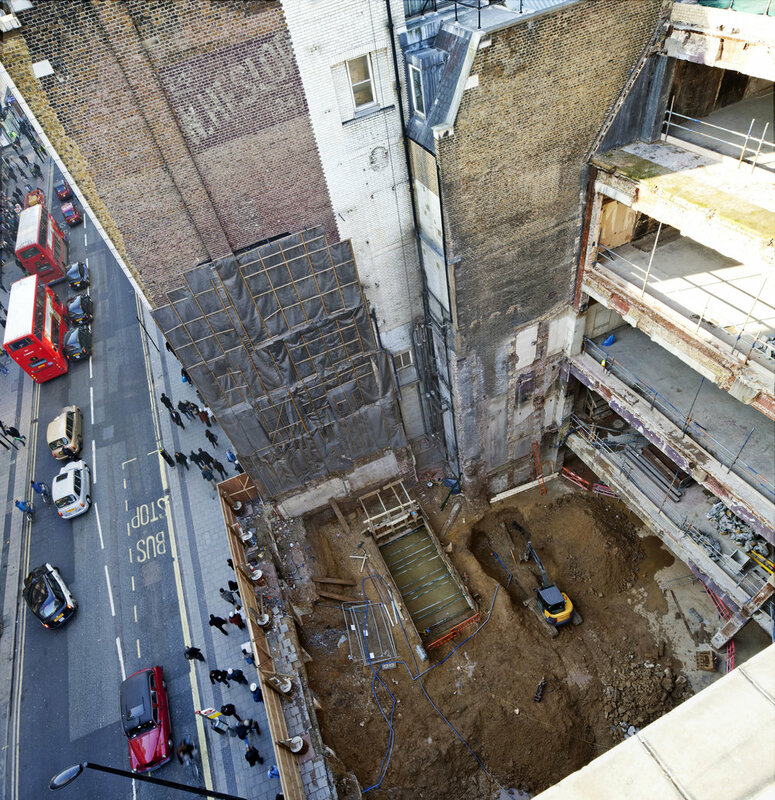 The site sits within a Conservation Area, yet the brief was to develop an exciting and appropriate architectural solution for this challenging site which would seek to continue the regeneration of the east end of this famous shopping street. The design optimised this prime site, rationalising uses and re-configuring units to provide a high quality development. 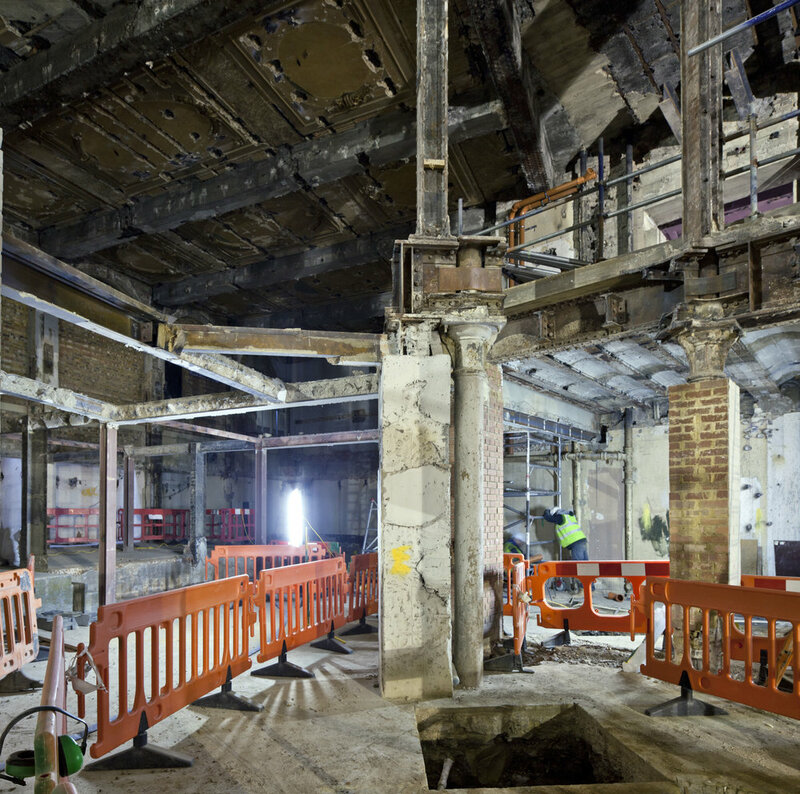 The scheme comprised of a part-retained facade, part new build and part remodelling of a Grade II listed building. 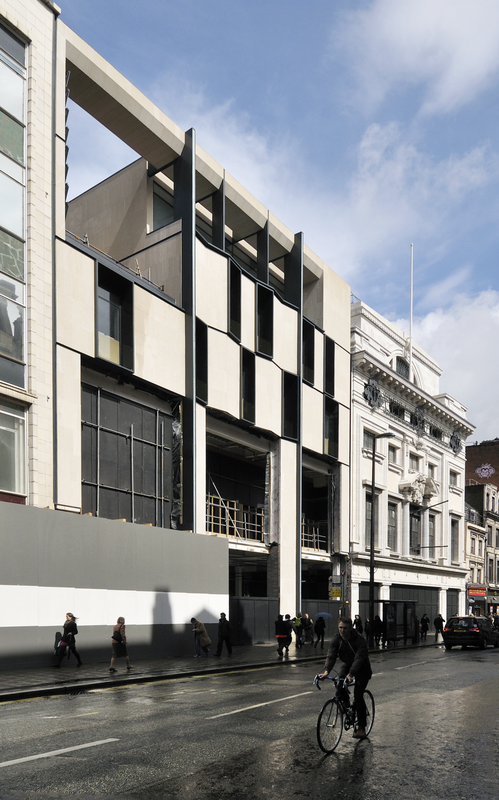 The new build development created an efficient and integrated commercial scheme with modern interventions highly visible for shoppers on Oxford Street.